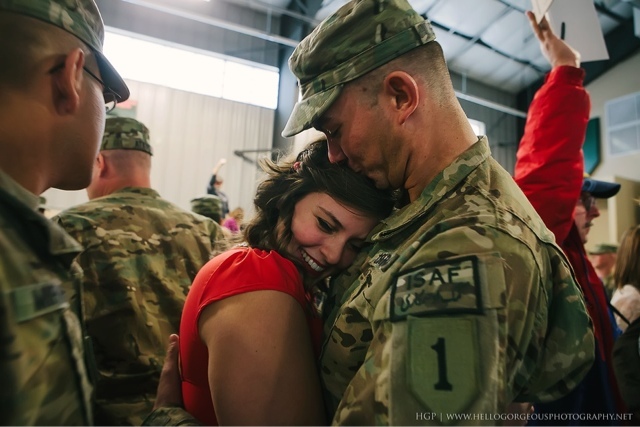 …being reunited with the love of your life the day after your 2nd anniversary after he’d been gone at war for nine months. Oh my gosh, don’t you just love it? Miraculous. I wrote about another reunion of theirs less than a year ago, the beautiful waiting, the longing that built up and the moment of togetherness. How it feels like our yearning for Jesus. A few months later, I dreamed a dream he’d make it back to us, safe and sound. And today, here they are, together, having conquered an entire deployment already. And now, back together and stronger than ever. Aw, man. Will you look at that? Just perfect. All the 1940’s postcards I’ve seen in the bookstores pale in comparison to the heart-melting emotion of their reunion. I’ve been staring at these photos every chance I get tonight. 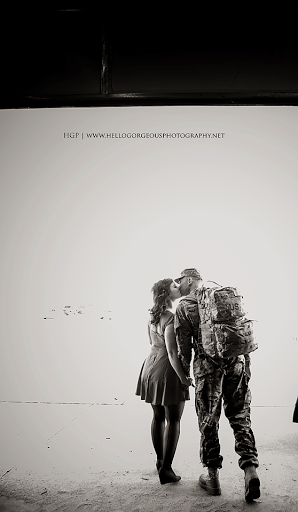 Their incredible photographer from Hello, Gorgeous. Photography captured the intensity just right.